A serious injury requires a serious, experienced and caring attorney. Suffering an injury or the loss of a loved one is a traumatic and overwhelming experience. No one can undo the harm, but we can help you recover compensation for your losses. We are personal injury lawyers. 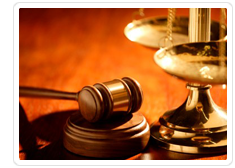 We have decades of courtroom experience with personal injury and wrongful death cases throughout California. If you have questions about a car crash, a workplace injury, a dangerous product, or a toxic injury claim anywhere in California, we will take the time to talk to you and answer your questions. We are nationally recognized trial attorneys who are serious about providing personal service to our individual clients. There are thousands of attorneys in the Bay Area, and tens of thousands in Northern California. Why should you give us a call? Because we are experienced trial attorneys . We have tried dozens and dozens of cases, and we have won large awards for our clients. We have recovered hundreds of millions of dollars in compensation for our clients. We have the resources and commitment to fight large corporations and insurance companies. We know that your first priority is to take care of your loved ones, so our first priority is to take care of you. Regardless of the type of accident or injury you have suffered, contact us so that we can put our experience to work for you.